The second half of the eighth edition of the international Silk Way Rally was completed on Friday, 28th September, the race has been won by Liu Kun (China) in the car category and Andrey Karginov (Russia) in the truck class. The last day came with the toughest moment, as every second mattered for the crews, following each other closely in the classification. 146 km were covered by 48 crews out of the original 51. 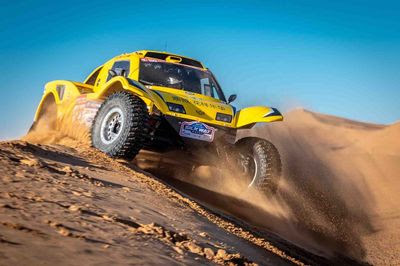 Rally organizers gave the competitors all conditions to perform the full capacity of their vehicles, just few seconds after the start, cars were already rushing over the 50-meter high dune among the beautiful desert and snowy peaks of Helan mountains. 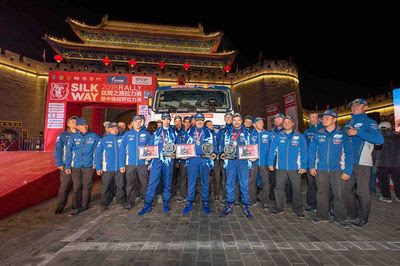 5 days after the starting ceremony in Xian, the winner of the Chinese Silk Way Rally round Liu Kun (SMG HANWEI MOTORSPORT) completed 700 km of four special stages in 11h 47min 17sec. The second place was taken by Ao Rigele from The Knight Super Player NISSAN 11h 51 min 16 sec and Liu Yanguifrom. Ningxia Nanfang Shangcheng Team (SMG HANWEI MOTORSPORT) came third in 11h 55min 54 sec. The top positions in truck overall ranking were taken by KAMAZ-master Team. By his victory on the Chinese stage, Andrey Karginov followed his July’s victory in Russia, with total time of 12h 33min 02sec. Eduard Nikolaev took the second place (15h 03min 59sec) and the third place was taken over by Zi Rong (15h 55min 21 sec). PJSC “Gazprom” is a global energetic company. Gazprom see their mission as the reliable, effective and well-balanced supply of consumers with natural gas, other kinds of energy resources and the products of their processing and are main partner of the Silk Way Rally since 2009. Because of their unique design and capabilities, TOYOTA all-terrain vehicles have proved their extraordinary resistance on Russian, Kazakh and Chinese territories during the various reconnaissances and the rally. 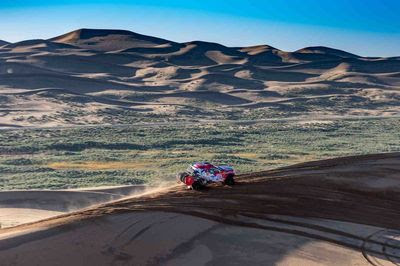 TOYOTA, which symbolize technical and technological confidence, have been supplying Silk Way Rally official cars since 2016, to accompany the rally on its roads and wild tracks.